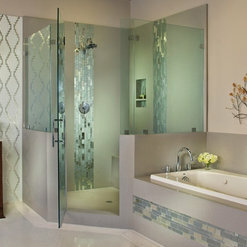 We provide free in home design consultations to provide estimates as well as to showcase colors samples and design ideas. 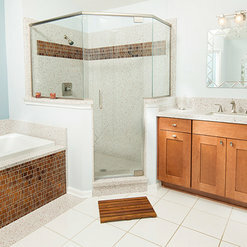 They removed the bathroom vanity with long shelf that obstructed access to toilet and installed new vanity with sink. The new vanity top is beautiful. The installers were friendly and professional. Explained the procedures and kept me up to date. I am very pleased with my new kitchen countertops. They look just beautiful. Don and his partner did an excellent job and were very professional and friendly. I would recommend your company to everyone. Thank you! 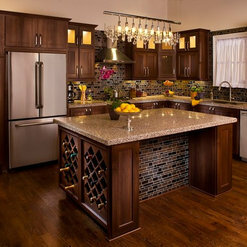 We were looking for an affordable way to redo our kitchen. 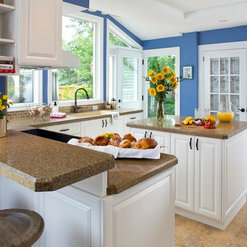 We heard about Granite Transformations from a friend who had visited a home they had just finished. I emailed them one evening and received a call from them the next day. We were scheduled with Jennifer, the sales associate, to come to our home for a consultation. She arrived on time and with several cases full of samples to choose from. She explained everything perfectly and knew her product well. 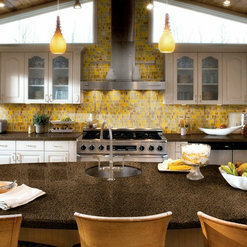 We went with the black "Stella" granite countertops and the travertine stone backsplash. They completed the installation in one day. They left everything cleaned and polished when they were through. It looks beautiful and we are very pleased with the outcome. The only negative thing we have to say is we wished the installation crew could have began the work earlier and been as prompt in the appointment time as the sales associate. Our project was scheduled to be completed in one day. By late afternoon they still had hours to complete the work. They pressed on and completed the job by 10:30 PM. They did an excellent job and did not cut any corners even as the work day was very long. They were both very polite and extremely professional. 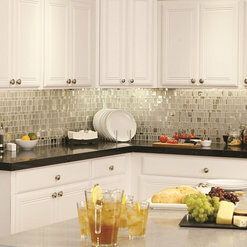 We love the new counter tops and backsplash. The new under mount sink and faucet are great. Great job, thank you. 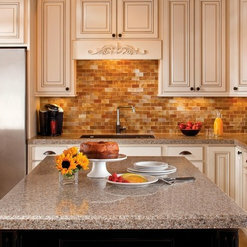 Our experience with Granite Transformations was nothing short of supurb! From our introduction to sales and design staff at the Home & Patio Show in Jacksonville, to the in-home design consultant, template creators, fabricator, and installers, the entire experience was 5 Star! Every person of the GT Team was professional, friendly, knowledgeable, and helpful. They went the extra mile to answer all our questions and to make sure they provided excellent customer service. They certainly aimed to please. We are so pleased with our new countertops. 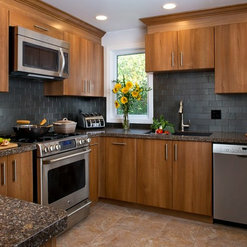 Everyone who sees our improved kitchen can't believe how beautiful our "transformation" is. The GT product is unique, as well as stunning. 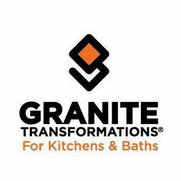 Hats off to Granite Transformations! Great job!! It turned out more beautiful than I expected! Very please with the professionalism from start to finsh! I am pleased with the outcome of the project!i can not wait to get my master bath and kitchen done!! 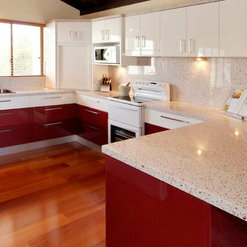 The experience we had dealing with granite transformation was top notch. Our sales agent Anna was very professional and friendly. She knew the product and was extremely helpful in picking out the best colors for our home. 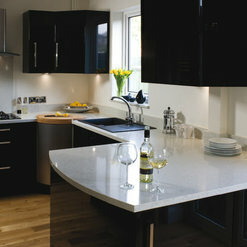 The installers were very professional and done a supperb job in measuring and installing our counter top. The office scheduler stayed In touch and check on us throughout the entire experience. We absolutely love our new countertop. It totally transformed our kitchen!! I will recommend this service to anyone looking to do something new in home improvement. 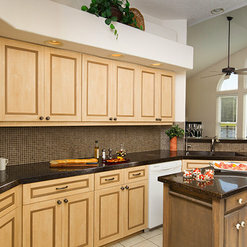 We are very happy with the job Granite Transformations did installing our kitchen countertops. However, we also contracted our lighting to be removed from the old style soffit lighting to canned lighting in the ceiling. The company that GT subcontracted to do the work installed the lights in the wrong areas, leaving a dark area in my kitchen. They also patched the walls from the soffit removal, but didn't think it was part of the contract to come back and sand them down. We complained to GT and they did have them come back and complete the sanding. We will have to hire someone else to do something to fix the lighting. I would rate the countertops 5 stars and the lighting work 1. We had our bathroom vanity refaced with an additional cabinet added. We also replaced the counter and added a second sink. Everything was completed within the timeframe that was set up and we're very happy with the completed project! Thank you very much for the wonderful review, Diane! We appreciate your business!